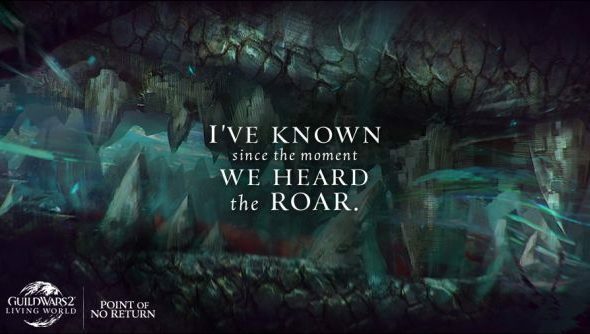 “The road to war is paved by points of no return” – those words from ArenaNet’s blog post couldn’t be more true, as Guild Wars 2 players prepare to bring the fight to the latest threat against Tyria: the mighty elder dragon Mordremoth, who was awoken by Scarlet at the end of Season 1. On November the 4th, the second half of the Living World Season 2 kicks off with a preemptive strike against Mordremoth’s forces. We sat down with lead designer, Isaiah Cartwright, to talk about the update. Find out why you’re not going to want to miss the “unforgettable end” that will likely change Tyria forever. Nick:While Mordremoth is probably the end goal of the Living Word Season 2, what has this season got to offer in the immediate future for players? Isaiah:Well I don’t want to spoil when players will be facing Mordremoth, but really what the players will see is the continuation of where they left off – convincing the world leaders about Mordremoth’s threat to Tyria; there’s a bunch of awake Elder Dragons already, but why do the leaders want to fight this one? So Season 2 will begin by showing how this dragons awakening is starting to affect the world; all the other dragons when they awoke caused some sort of large-scaled catastrophes across the world. So the players are pushing this big attack preemptively on Mordremoth; they’ll be preparing for war. Nick:Colin’s blog post mentioned about going into the lore from Tyria’s past and its secrets. Would it be safe to assume that we’ll be encountering lore directly from the original Guild Wars game? 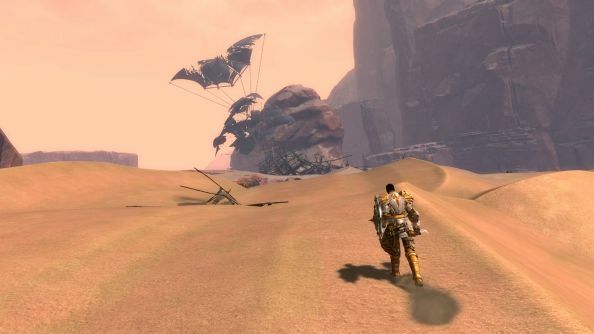 Isaiah:Yeah, I think we’ve been setting up a lot of stuff, and we really want to show how that interleaves into some of the old lore and places from the original Guild Wars. They’ll be seeing old places and new, so it’ll be exciting for those who played the original game and also to those who’ve paid attention to the lore. Nick: What sort of lessons have you learned from Living World Season 1 that you’ve brought over into Season 2? Isaiah:Well I think you saw at the start of Season 2 that we really changed up some of our delivery mechanisms. We made a journal where players can check out past releases, so new players can come in and not feel left behind. I think that’s one of the big lessons we learned going into Season 2. Nick: Can we expect to see more permanent content additions, like the new zone of Dry Top, going further into Season 2? Isaiah:I think that was another big lesson from Season 1 going into Season 2. Everything so far in Season 2 has been permanent; everything we add to the world grows it. I think that’s a really big and positive thing, and you’ll continue to see that kind of lesson. We want to add these sort of experiences for our players, not just with the new story, but with the world opening up and revealing itself. It’s definitely something you’ll see more of going forward with Season 2. Season 2 returns on November 4th, but you can jump in now to experience the annual appearance of the Mad Realm in the Halloween update.